Dr. Segun Aina is a global professional banking leader, internationally rated fintech influencer and thought leader, respected Futurist and a Philanthropist. He had three decades of distinguished banking career and voluntarily retired from active banking service after a six years tenure as Bank MD/CEO. His core area of interest was operations and technology -using technology to deliver delightful banking services and products in a very efficient manner. He is past President of Chartered Institute of Bankers of Nigeria (2012 to 2014) as well as West African Bankers Association (Nigeria Chapter) 2001 and currently the inaugural Chairman of Global Council of Global Banking Education Standards Board (GBEStB) 2017 to date. A tech visionary who set up Fintech Associates Ltd as far back as 2002, he is founding President, Fintech Association of Nigeria, initiator and founding President of the Africa Fintech Network, Founder/Chairman, The Fintech Institute among others. Dr. Aina who has been variously described as Nigeria’s finTech envoy incubated a number of successful fintech startups and sits on the Boards of various institutions in Banking, Insurance, Agriculture, Technology sectors etc. He also serves as a member of the UK-Africa Fintech Investment Group, a UK Govt initiative co-Chaired by the Lord Mayor of London and UK Prime Minister Ambassador for Business Fintech. Dr. Aina is a distinguished alumnus of University of Lagos, University of Ibadan, INSEAD France, Harvard Business School, IMD Switzerland, Lagos Business School. 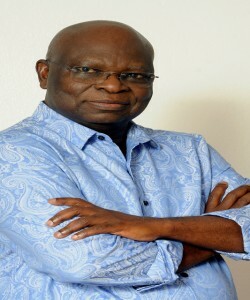 His contributions to the academic sector is legendary- he was a member of the pioneer Advancement Board of Obafemi Awolowo University 2006 to 2012 and currently Chairman Advancement Board of Federal University of Technology Akure,(2011 to date), Chairman National Think Tank (initiative of University of Ibadan Research Foundation of which he is a member) and Member, Osun State University Advancement Board. He is a seasoned professional with over 25 years of financial services experience at executive management level. His versatility stands out in the areas of International Trade, Banking operations, Retail Banking, Product Monitoring, Control, Development and Enterprise Risk Management. He holds a Bachelor’s degree in Economics as well as a Master’s degree in Banking and Finance and emerged as the best graduating student in his class. Seun is an accomplished Engineer with unique and diversified Engineering Business Management experience in Canada, United Kingdom and Nigeria. She is also a project management professional. Mrs. Famoriyo has a Master’s Degree in Engineering Business Management from the Warwick Manufacturing Group at the University of Warwick in Coventry, UK and a first degree in Chemical Engineering from Laurentian University Canada. Bisi is a result-driven IT professional, an Oracle Certified Application Developer (OCP) with extensive experience in implementing Enterprise Resource Planning solutions – ERP and other specialized applications. Bisi possesses an in-depth understanding of emerging markets technology requirements with extensive experience in leading ERP implementation solutions. He has successfully planned and directed many activities that have provided innovative information technology solutions in North America (USA & Canada) and Africa. Dr Bisi Aina started his career as a Veterinary Doctor with a DVM from the University of Ibadan before venturing into information technology business. The Executive Board is supported by a team of well-trained managers and officers with diversified skills and experiences. In addition, Fintech has a long list of external associates and partners who participate in major projects on need basis. We provide expert financial and technology solutions. With our vast experience, we’ll ensure that you get the best solutions available from the industry. © 2017 - Fintech Associates Limited.